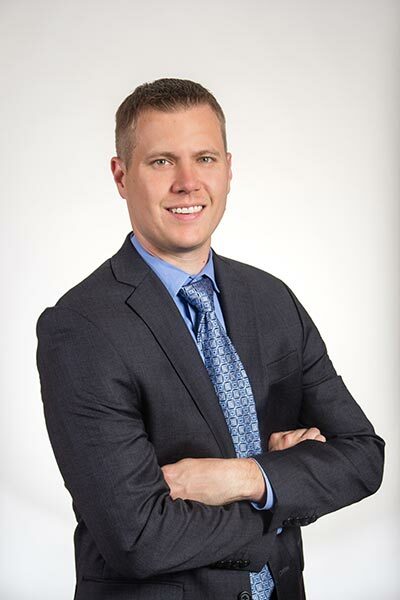 Nathan A. Wuebbels DMD, MD is a dual degree oral and maxillofacial surgeon who received his dental degree from Southern Illinois University School of Dental Medicine and his medical degree from the University of Medicine and Dentistry of New Jersey (UMDNJ). He completed his oral and maxillofacial surgery training at the University of Medicine and Dentistry of New Jersey (UMDNJ) and is trained in all aspects of oral and maxillofacial surgery. His comprehensive, 6-year residency training emphasized advanced techniques in orthognathic surgery, management of facial trauma, adult/pediatric general anesthesia, dental implants, bone grafting, oral pathology, distraction osteogenesis, TMJ disorders, facial pain, surgical exposure and the surgical removal of impacted teeth. He has an added interest in facial cosmetics including botulinum toxin injections (Botox), dermal fillers, chemical peels, dermabrasion, blepharoplasties, and facial scar revisions. Dr. Wuebbels is a Board certified Oral & Maxillofacial Surgeon and will join our tradition of providing comprehensive office and hospital based patient management with a personal touch. His special interest in cleft lip/palate surgery and craniofacial surgery has most recently taken him to Bangladesh as part of Smile Bangladesh, a New Jersey based nonprofit medical organization dedicated to treating children with facial cleft deformities.